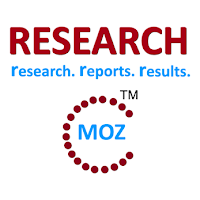 ALBANY, NY, June 2015 -- ResearchMoz.us includes new market research report " Governance, Risk and Compliance - The UK and Russian Insurance Industry: Global Market Size, Shares, Growth, Analysis, Trends And Forecast" to its huge collection of research reports. 'Governance, Risk and Compliance - The UK Insurance Industry' report is the result of extensive research into the insurance regulatory framework in the UK. It provides detailed analysis of the insurance regulations for life, property, motor, liability, personal accident and health, and marine, aviation and transit insurance. The report specifies various requirements for the establishment and operations of insurance and reinsurance companies and intermediaries. The report brings together research, modeling and analysis expertise, giving insurers access to information on prevailing insurance regulations, recent and upcoming changes in regulatory framework, taxation and legal system in the country. The report also includes the scope of non-admitted insurance in the country. 'Governance, Risk and Compliance – The Russian Insurance Industry' report is the result of extensive research into the insurance regulatory framework in Russia. It provides detailed analysis of the insurance regulations for life, property, motor, liability, personal accident and health, and marine, aviation and transit insurance. The report specifies various requirements for the establishment and operations of insurance and reinsurance companies and intermediaries.